Nancy Marmorat’s experience coaching people of all age groups has inspired her to devise specially-adapted keep-fit programmes for people aged over 50. In this 3-DVD set you will be guided through stretching exercises and gentle gymnastics to increase your flexibility, learn how to strengthen your muscles and discover how just 15 minutes exercise a day can keep you in good shape. Nancy’s keep-fit programmes are known around the world, and now you can take advantage of her expertise in the comfort of your own home, with detailed instructions and clear, easy-to-follow demonstrations at every stage. Nancy takes you through a complete series of easy stretching exercises which will help make your joints more supple, tone up your muscles, and give you a feeling of well-being in your daily life. The exercises are designed to keep you in peak physical condition and to prevent the painful joints and muscular tension often associated with growing older. The gentle gymnastic exercises will also help improve your sense of balance. Bonus – For a feeling of well-being, a few small exercises to ease your back. Studies show that regular physical exercise slows up the ageing process and can prevent certain illnesses. 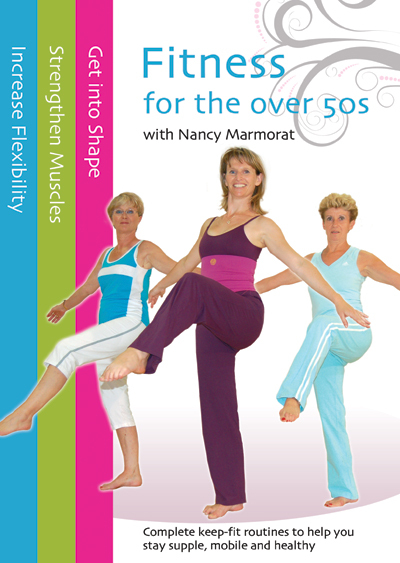 In this DVD Nancy reveals six different daily gymnastic sessions. The sessions are thematically based, and will enable you to keep in good physical shape - strengthening your muscles and making you more supple while improving your balance, cardio-respiratory capabilities and coordination. This DVD contains a complete gymnastics session for keeping in good shape. There are several advantages to following this method - to strengthen the density of your bones, to increase your muscle tone, to protect your heart, to practise keeping your balance and coordination, to keep your body supple and to simply make you feel good. The programme has been specially devised to help you strengthen your muscles and to work on your cardio-respiratory system.